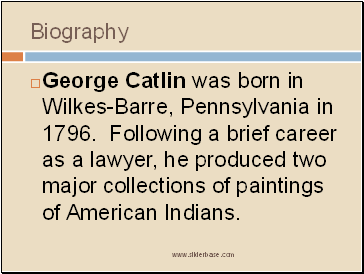 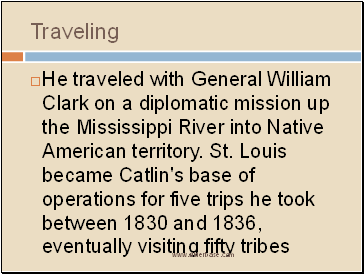 George Catlin was born in Wilkes-Barre, Pennsylvania in 1796. 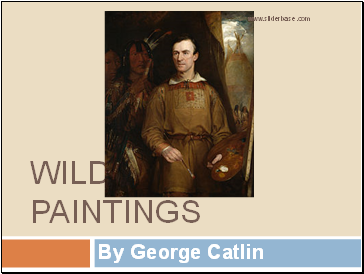 Following a brief career as a lawyer, he produced two major collections of paintings of American Indians. 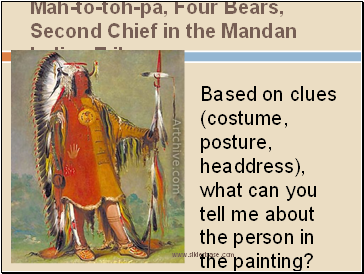 Based on clues (costume, posture, headdress), what can you tell me about the person in the painting? 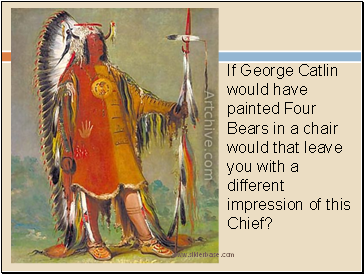 If George Catlin would have painted Four Bears in a chair would that leave you with a different impression of this Chief? 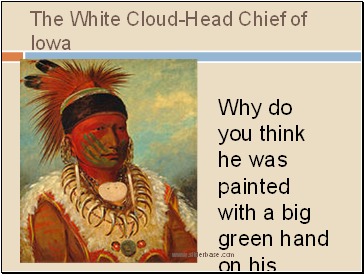 Why do you think he was painted with a big green hand on his face? 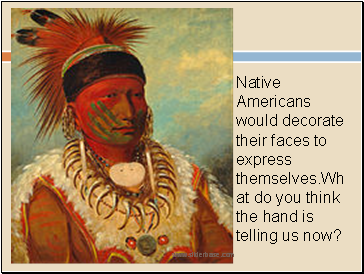 Native Americans would decorate their faces to express themselves.What do you think the hand is telling us now? 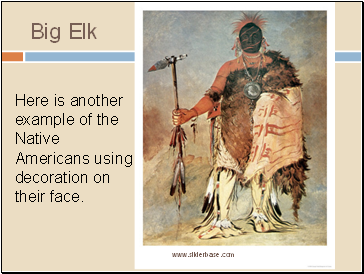 Here is another example of the Native Americans using decoration on their face. 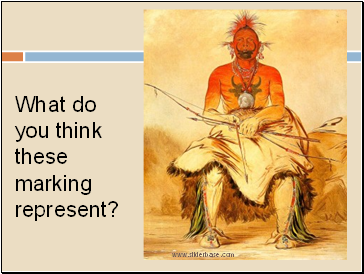 What do you think these marking represent? 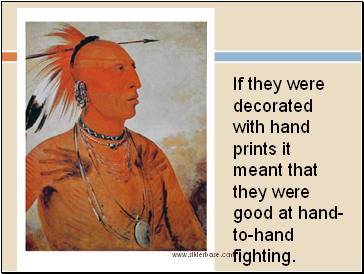 If they were decorated with hand prints it meant that they were good at hand-to-hand fighting.